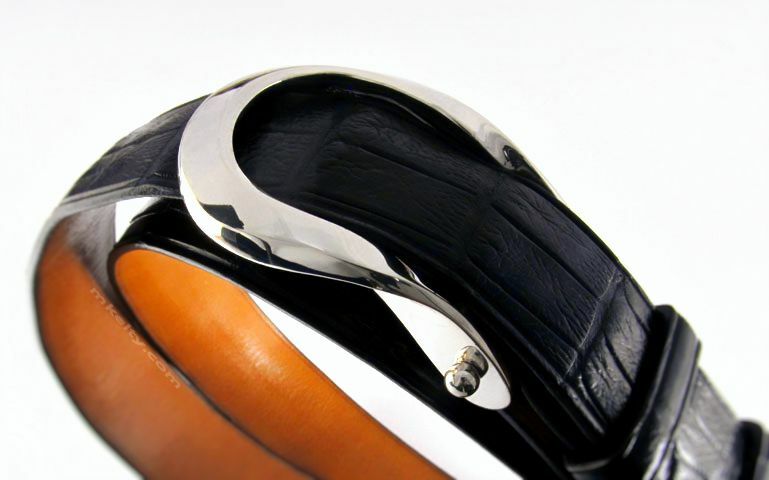 The Corniche is a strong heavy buckle. I spent many hours and made several versions before I felt I had it right.There's room on the back for a custom hallmark plate with your initials. Starting at.... 775 USD.... for all sterling silver. 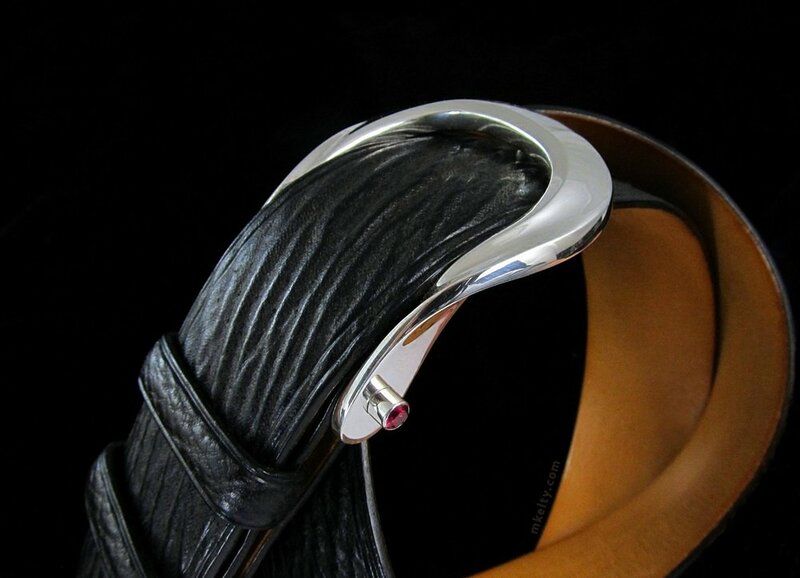 925 USD with ruby mounts.